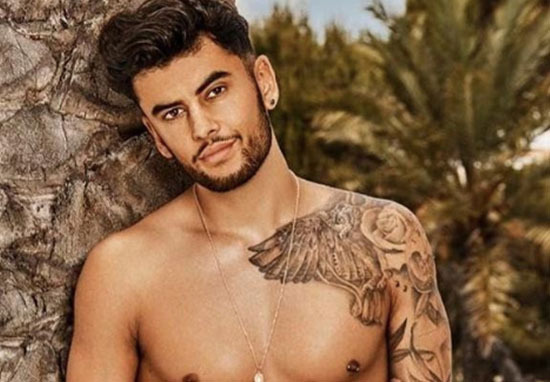 Love Island‘s Josh Denzel has gone and put his foot right in it. Loyal GF Georgia Steel will discover he’s been snogging someone else behind her back in scenes certain to rock the villa. Tonight’s episode will show the ladies watching a video sent to them revealing what their other halves have been up to at Casa Amor. Over the last few days, the couples have been split into two villas with new singletons joining them to see if they’ve got what it takes to not put their business about with anyone with a pulse. It’s almost as if the producers made this move because they know the contestants are problematic and fickle. Genius! Anyway, yeah, look at this cheeky Denzel knob, cheating on poor Georgia with new lass Kazimir Crossley, 23. Sunday’s show will also highlight Dani Dyer’s worries over being separated from BF Jack Fincham. Pot luck that he’s only been living with his ex Ellie Jones! What are this lot like? It’s more drama for the immensely popular ITV show, which went one man down after just a few days thanks to the departure of Niall Aslam. The 23-year-old had become a favourite to win in the short time he had been in the villa, but had to leave for ‘personal reasons’. While viewers were left wondering what happened, Niall has now revealed he suffers from Asperger syndrome, explaining why he left the show on an Instagram post. Right, so here it goes…for this post I am putting my laying it on thick brush down and hoping to hit the nation with a love potion. For far too long I have suffered in silence and not acknowledged a massive fact about my life which going into the villa has led me to finally realise and accept. When I was a young child I was diagnosed with asperges syndrome, a fact that until this post has never shared outside of my close family. Growing up was extremely difficult for me and I often felt out of place. I always felt that people didn’t understand me, yet I was afraid to reveal my true scales as I did not want the label or stigma that was attached to it. But now I think it is important that I come forward, not only so that I can finally be honest with myself and to those around me, but also so that other individuals in my position can embrace their true colours. It’s not been an easy ride for me to come to terms with this fact but I am glad that I can now accept who I am, and am looking forward to my next chapter. I would just like to thank the team at ITV for always backing me and giving me the opportunity to rid my myself of my insecurities and embrace the fact that I am different yet I am still a rainbow fish. I can’t explain how grateful I am for the support from the whole team over this period. I would also like to thank the British public for the love you have all shown me over the past few weeks, it has been overwhelming. Now it’s time for this rainbow fish to dive deep into the big blue ocean and show the world what I’m all about – there’s more layers to come! Niall had been coupled up with Georgia on the show, and when he left she described that Niall was not only her partner, but a good friend.